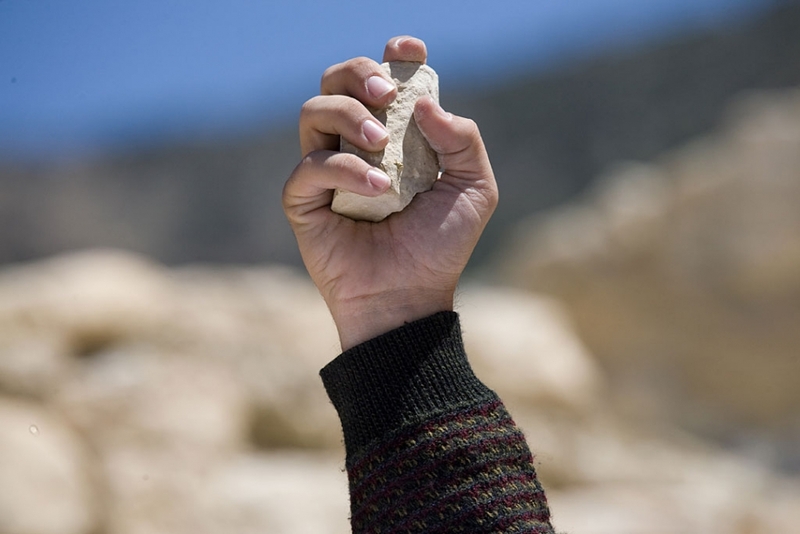 When is stoning someone to death appropriate? Of all the myriad ways man has come up with for killing one another, stoning may be one of the more brutal. The A.V. Club – Philadelphia just wrote an article about a man who stoned an elderly man because he believed he was gay and the bible says to stone gays. The article then goes on to list all of the offenses worthy of stoning in the bible (and FYI, being gay isn’t on the list). It’s a great article, and you can read it here. I’m also including a scene from Martin Scorsese’s 1988 classic The Last Temptation of Christ where Jebus protects Mary from being stoned. Great scene… great film… and if I’m going to mention anything with regards to Christ, I may as well top it off with something even more controversial than pointing out the barbarism of it’s most holy book. Prev What’s In My Hear Hole Today? : Wait Wait… Don’t Tell Me! Next The Walking Dead Zombie Bar Crawl in San Francisco… TONIGHT!